The fund giant plans to add the new fund into its popular managed-payout product. Vanguard is tinkering with its income portfolio. New products and changes introduced over the last week include a tactical management ETF from Tuttle Tactical Management; a tactical credit long/short fund from WHV Investments; a tactical investment portfolio from Gradient Investments; and a single point of access for new markets from the Gemini Companies. In addition, Vanguard says it has filed a statement with the SEC for the Vanguard Alternatives Strategies Fund, which it also plans to incorporate into the Vanguard Managed Payout Fund. Also, Incapital and KKM Financial teamed up to distribute two KKM funds; the Royal Bank of Canada became the first liquidity provider for EBS Direct; Envestnet acquired Upside; and Global Financial Private Capital added portfolio stress testing platform HiddenLevers as its latest technology tool. Vanguard said Friday that it plans to further diversify the $1.6 billion Vanguard Managed Payout Fund by adding a new component: the Vanguard Alternative Strategies Fund. The firm filed a registration statement for the new fund with the SEC and expects it to be available in the second quarter. The Managed Payout Fund was rolled out in 2008 and is designed to provide retired investors with regular monthly payouts as a supplement to other sources of income. “The fund’s advisor seeks to adjust the fund’s overall asset allocation over time with an emphasis on sustaining its monthly payouts, keeping pace with inflation, and preserving capital over the long term,” according to the fund giant. It invests mainly in low-cost Vanguard index funds that give investors exposure to the world’s stock and bond markets. It invests smaller portions of its assets in global minimum volatility and market neutral strategies, as well as commodities. “We’ve planned for some time to broaden the investment strategies available to the Managed Payout Fund. Adding the new fund as a component is expected to provide further diversification and reduce portfolio volatility as a result of the low correlations of these strategies to stock and bond returns,” said Vanguard CEO Bill McNabb, in a statement. The new fund will have an an actively managed approach an use a combination of long and short positions in equities, forward foreign currency contracts, commodity and Treasury futures, swaps, and other investments. It will be managed by Vanguard Quantitative Equity Group (QEG), Vanguard’s internal active equity management arm that has been managing assets since 1991, which has some $21 billion under management. Some of the group’s largest stand-alone fund mandates include Vanguard Strategic Equity Fund with $5.8 billion in current assets and Vanguard Strategic Small-Cap Equity Fund with $685 million in current assets. QEG also manages portions of Vanguard Equity Income Fund, Vanguard Growth and Income Fund, and Vanguard Morgan Growth Fund. Tuttle Tactical Management, LLC has announced the launch of the Tuttle Tactical Management U.S. Core ETF (TUTT), which aims to provide the opportunity for capital appreciation over the long term while offering safeguards that strive to protect portfolios from downturns. The tactical nature of TUTT’s objective is a predetermined, active strategy that responds to market indicators rather than attempts to use them as predictors of market direction. Under normal market conditions, TUTT will invest no less than 80% of its total assets in shares of ETPs listed on U.S. exchanges. The total annual fund operating expenses will be 1.34%. WHV Investments, Inc. has launched the WHV/Acuity Tactical Credit Long/Short Fund (WHAAX). The fund is subadvised by Acuity Capital Management, LLC. The portfolio management team includes Acuity’s Howard Needle, CEO/chief risk officer and founding partner, David Harris, chief investment officer and founding partner, and John Harnisch, credit portfolio manager and partner. 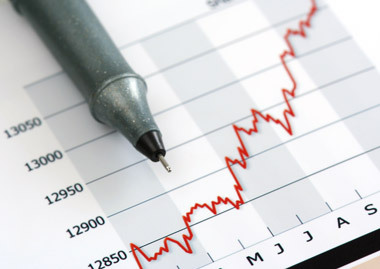 WHAAX’s investment objective is to achieve current income and capital appreciation, and it will target equity-like return potential and bond-like risk characteristics by assembling a portfolio of corporate fixed income securities in asset classes such as high-yield, investment-grade, convertibles, and bank debt. Gradient Investments has announced the launch of the Gradient Tactical Rotation Portfolio (GTR), which has been available in the institutional space but is now also available to RIAs. The GTR uses ETFs in deploying both tactical management and sector rotation strategies; it invests in broad geographic equity markets—US, international developed and emerging markets—and identifies regional market subsectors, including the low-volatility sector, broad market index and high beta sectors of each market. The Gemini Companies, individual service firms with expertise in fund administration, accounting, technology, compliance and reporting, have announced a new umbrella entity through which investment companies can expand distribution for mutual funds, hedge funds and funds on managed account platforms. Incapital and KKM Financial have announced a strategic partnership to distribute two of KKM’s liquid alternative funds, the U.S. Equity ARMOR Fund and the ARMOR Fund. The U.S. Equity ARMOR Fund seeks to track the U.S. Equity ARMOR Index (USARM), which aims to provide investors with lower risk methods of participating in the U.S. equity market. Equity exposure is gained through the SPDR S&P 500 ETF (SPY) and a corresponding long volatility position based on the ARMOR Index. These two components are combined and rebalanced monthly. The USARM Index is calculated by the Chicago Board Options Exchange on a daily basis. The ARMOR Fund seeks to track the ARMOR Index (ARMOR), an investable, long volatility portfolio that seeks to highly correlate with VIX (CBOE Volatility Index) total return over all time frames by searching for relative value between VIX futures (S&P 500 Volatility Futures) and S&P 500 Index Ooptions. The ARMOR Index is calculated by the Chicago Board Options Exchange on a daily basis. The Royal Bank of Canada has become the first Canadian liquidity provider for the EBS Direct platform, bringing the total number of liquidity providers on the platform to 19. EBS is ICAP’s electronic FX platform. RBC’s presence on the platform will support the growth in trading of Commonwealth currencies and will give customers access to a liquidity provider in both major and emerging market currencies, thus creating greater liquidity, better pricing and higher certainty of execution in these instruments. Envestnet, Inc. has announced the acquisition of Upside, a technology company providing digital advice solutions to financial advisors. Upside helps financial advisors compete against other digital advisors, or “robo advisors,” by leveraging technology and algorithms to advise, manage and serve clients who want high-quality, personalized investment services delivered to them when and where they want it. The company’s design-led, advisor-branded platform provides investors with an intuitive investment management experience, including paperless onboarding and required trading and rebalancing. Global Financial Private Capital has added portfolio stress testing platform HiddenLevers, not just to stress test prospect portfolios but also as a financial planning tool. The HiddenLevers stress testing platform employs imagery and interactive functionality, rather than statistics and jargon, to engage users throughout the process by means of such scenarios as Oil Crash, Global Deflation and Tech Bubble 2.0. Read the February 22 Portfolio Products Roundup at ThinkAdvisor.